What can you/should you do when it becomes obvious that your start up business should wind down? The hardest part of being in business is recognizing when the business has no future. Yet the overwhelming majority of new businesses fail within 5 years. Shutting down an insolvent business presents a tough challenge: honoring the legal rights of creditors while minimizing the damage to the founders and employees. Not to mention the emotional hit. Unless you are a sole proprietor, you and your business are two separate legal entities. Whether your business operates as a corporation or an LLC, it has its own rights and obligations. Those rights and obligations may be different from yours as the shareholder. For the purposes of this discussion, we’re going to assume the business is a corporation. If you operated as an LLC, the issues are essentially the same as those of a corporation. The board of directors of an insolvent corporation owes its duty of loyalty to the creditors, not the owners. Creditor claims get paid before the shareholder’s ownership claims. Shareholders can be creditors as well as owners. Management can legally pay some creditors and not others. Keep these precepts in mind once you see the business needs to close. There is no clear or universal answer to whether a failed business should file a Chapter 7. A corporation does not get a discharge in a Chapter 7 case; only a Chapter 11 reorganization erases the debts of a corporation. And a Chapter 11 is worth the significant time and expense only if the business has a future, or some valuable asset salable only if the business continues until the sale. So the only purpose a business bankruptcy serves is to liquidate the business assets and satisfy creditors as far as possible. The unpaid debts will remain enforceable against the corporation for as long as the law allows. Companies can go out of business without filing bankruptcy: they liquidate their assets and cease operations. Creditors have a right to recover their claims from the assets of the corporation. If there are no assets, the corporation cannot be further harmed by lawsuits that try to collect from the corporation: a judgment against a company without assets is worthless. It’s perfectly legal and rational to simply close the doors and cease business without involving the courts. The danger to management in this approach is the tendency of some creditors to assume that the business’s failure to pay means that there is some sort of skullduggery afoot. Those creditors don’t recognize the legal distinction between the corporation that runs the business and the people who work for and own the corporation. It becomes easy and reflexive for such creditors to sue the officers as well as the corporation to collect the debt. The corporation may have no remaining assets but the officers have both assets and future earnings at stake. While the claim against the individuals may be invalid, the individual has to appear and defend in the lawsuit, or a judgment will be entered against him. And sometimes, the individuals are liable because the individual guaranteed the debt or even the individual opened the account before the corporation was formed. Personally managing the wind up has advantages, if you are willing to devote the time and energy to the process. Management can usually get a better price for assets since they know the market, know the asset, and are motivated to get highest recovery. Outside of bankruptcy, you control who gets paid with the available funds. You can act swiftly to limit exposure of management or investors by paying first debts guaranteed by insiders, subletting leased space, returning leased equipment, etc. Creditors are protected from having to give back preferential payments to the bankruptcy trustee. Assets can be sold to insiders so long as the price is fair. All desireable outcomes, if it’s possible. The trustee has powers under Bankruptcy Code to sell leases despite anti assignment provisions and to avoid levies and writs of attachment, recovering value for creditors that isn’t possible outside of bankruptcy. Filing bankruptcy seems to reduce the instance of creditors suing individual managers for corporate debt. The automatic stay prevents aggressive creditors from diverting cash that could be used to pay taxes, employees, and guaranteed debts or recovering property needed for wind up. Trustee unlikely to get top dollar for saleable assets. The choice of how to wind up doesn’t have to be an either/or decision. Management can liquidate assets as far as feasible, and file bankruptcy thereafter to let the trustee mop up. Step back and look at the issues of timing, asset value, and creditor claims. If the answers seem complex, consult a bankruptcy lawyer for help weighing the alternatives. Let’s hear it for entrepreneurs. Those brave, tireless people with a dream who start or run small businesses. They possess more energy and perseverance than most of us. They form the backbone of our economy. In honor of National Entrepreneurs Day, November 20th, let’s recap Soapbox’s best on being in business for yourself. It’s probably not surprising that I like entrepreneurs, because I’m an entrepreneur too. 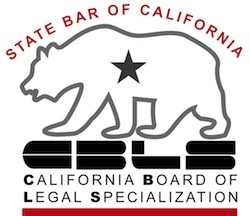 I opened up my general law practice the day after I was admitted to the California bar. Over the years, the focus of my law practice has narrowed as I’ve become an insolvency specialist, but I have always worked for myself. So, small business folk are some of my favorite clients. Clients I tend to see in my professional role when business struggles. Here’s what I’ve learned about small businesses and the hardy folk who run them. Anytime you pool your money with someone else, you need a written agreement about how you unwind the joint venture. Just like marriage, business life changes and today’s partnership may not work at some point in the future. Culled from my four decades of advising business people, these five things stand out as reasons businesses don’t succeed. Here’s what NOT to do if you want your business to survive and thrive. The best reason to incorporate your business isn’t to protect yourself from the debts of the corporation. It’s just the opposite: incorporate to protect the business from your debts. You incorporate to limit you exposure to debts of the business. Don’t throw the benefits of incorporation away by the way you sign corporate contracts. Here are four unsexy, but absolutely essential, habits to cultivate in business. Adopt them from the start of your business: well begun is half done. The hardest choice facing an entrepreneur involves failing. Take a look at the alternatives available when it seems the business has no future. Here’s hoping we never meet professionally. Savor National Entrepreneur Day. The bankruptcy trustee’s question was straightforward (if inartful) yet the business owner nearly blew the answer. The trustee asked: are you the sole owner of your business? When my client hesitated, she followed up: are you a sole proprietor? Focusing on the fact that he was the only person with an interest in the business, he said yes. Wait a minute, was my response. That’s not so. It took several minutes of sworn testimony at the first meeting of creditors to sort the matter out. We were once again experiencing the phenomenon of the shape-shifting business owner. The businessman had, in his mind, morphed into a sole proprietor rather than a stockholder. The debtor was the sole owner of the corporation that owned and operated the failed business. He was correct that no one else had an interest. He skipped over the part that it was another legal entity, his corporation, that actually owned the assets and owed the debts of the business. He owned the corporation that owned the business. A sole proprietor owns a business as a personal asset. In law, he owns the assets of the business and is liable for its debts. A sole proprietorship has no legal existence separate from the owner. The proprietorship may adopt a fictitious business name, but behind that dba is the individual who owns and operates the business. So, if my client were a sole proprietor, the inventory of the business would have been an asset of the bankruptcy estate created when he filed bankruptcy. The business bank accounts would fall to the control of the trustee. When a corporation is created, it becomes a legal entity distinct from the individuals who own the shares in the corporation. The corporation can have its own debts and its own funds that don’t belong directly to the shareholders. That’s why business people incorporate: to create a legal “person” that can take risks without exposing the shareholder’s other assets to that risk. When my client filed his Chapter 7 case, his stock in the corporation was an asset of the bankruptcy estate, but not the business itself. The business was owned and operated by the corporation. Since the corporation had tons of debts, the stock that the bankruptcy trustee could administer had no net value. That’s because, equity holders get money when a corporation liquidates only after creditors of the corporation have been paid off. The first meeting of creditors in a bankruptcy case is the trustee’s opportunity to gather more information about what the debtor owns and owes. Once you focus on what the trustee needs to get from the meeting, it’s easier to answer correctly and avoid the confusion that happened in my case. When confusion ensues, it’s important to sort it out on the spot. And that’s how I earned my keep in this case. Facets on a gem bend light and change how we see things. The same thing happens when bankruptcy law encounters a small business owner and the business itself. Seen from one angle of the law, the business is a valuable asset. Seen from another, it is nothing more than a job for the owner, having no real value without the owner. It depends on where you stand and where the light hits. The question comes up when individuals have a small business that provides a living, but the owners have accumulated crushing debt. I wrote earlier about how incorporation could create a separate legal entity that could continue to operate during the bankruptcy of its shareholders. My good friend Doug Jacobs pointed out that under some circumstances, incorporation could be seen as a fraudulent transfer. And that’s not good. A fraudulent transfer is one where the entity conveying property either intends to put it beyond the reach of his creditors, or, receives less than the asset was worth in exchange, leaving the transferor less able to pay his debts. The bankruptcy code allows the bankruptcy trustee to recapture assets transferred in fraud of creditors. My counter argument to Doug’s point is that incorporation hardly conveys away the value of the business, as the debtor simply exchanges his outright ownership of the business for outright ownership of the stock in the corporation that owns the business. If there is real value there, a bankruptcy trustee can reach it by dissolving the corporation. My second argument is that before incorporation, the business was indistinguishable from the individual. The idea of “transferring” debts to the newly created corporation is facially pleasing, but cannot relieve the individual of any liability he had before incorporation. It is an axiom of law that no agreement between two entities can bind a third: that is, the individual and his corporation cannot by agreement cut off the right of the individual’s creditor to look to the individual for repayment, even though the new corporation and the individual might agree that the corporation will be henceforth liable. This analysis is probably more theoretical than real. The small businesses my clients usually operate are little more than personal services businesses. Incorporation simply provides cover for the trustee who, because of incorporation, doesn’t have to shut the business down as part of his duties to preserve the assets of the estate. But whether you see incorporation representing a meaningful transfer or not, the issue highlights the fact that the legal culture does vary from place to place. I practice in Silicon Valley; Doug practices in the Central Valley. Like it or not, even though the law is the same in both places, judges often bring a slightly different perspective to the bench, depending on where they practice. For that reason, when you select a bankruptcy lawyer, you want one who knows the judges before whom your case will be heard and understands the legal culture in that community. Business owners with unpaid payroll taxes are in deep trouble. There’s no corporate shield when it comes to payroll taxes. Even if the employer is a corporation, the corporation’s managers are personally liable for the trust fund portion of unpaid payroll taxes. The trust fund portion of the tax (the amount withheld from employees’ checks) can be assessed against anyone who could have paid that money to the IRS. Business debt can bleed over into an entrepreneur’s personal assets, to the apparent amazement of a recent client. He was aghast that the generous equity in the home he and his wife owned was at risk when his corporate business folded. That was not because the shareholder is liable for the corporation’s debts. A properly operated corporation confines the business debts to the corporate entity. No, it’s because he signed the business lease in his individual name. And because he was a corporate officer who didn’t pay all the payroll taxes for the corporation’s employees. As a person liable for a debt, his assets (and the whole of the community property in California) are exposed to creditors. Exemptions protect some assets, up to a specificed dollar value, but the equity in the family home is at risk when debts incurred for business go unpaid. The only time that it matters whether a debt is personal rather than business is when figuring the infamous means test. The means test applies only to those whose debts are “primarily consumer”. Debts incurred in business, taxes, and debts imposed by law are not “consumer” debts. If those kinds of debts exceed the total of consumer debts, the means test doesn’t apply. There is no need to “qualify” for bankruptcy relief by reason of income. As a matter of debtor-creditor law, if your business is a proprietorship, there is no legal distinction between you and your business. The debts you incur to run the business have the same legal rights to payment from your assets, personal and business, as the debts incurred for personal living. When the business is one with the business owner, failure to pay any debt imperils both business and business owner. Corporations and LLC’s are legal “persons” invented to create a distinction between the business and the business owner. The corporation can incur debt in its name alone, and only it is liable. The practical catch is that vendors and landlords may not want to extend credit where the only “person” liable is a thinly capitalized corporation. They may insist on a guarantor. Execute that guarantee of the corporation’s debt, and the individual has staked his personal assets to pay the debt. The other way owners of corporate businesses become liable for the business debts is inattention. They never change the vendor accounts to the corporate name when they incorporate. They are sloppy about how they sign business agreements. They take a business credit card and don’t realize that they are personally liable. In the case of the entrepreneur I met with, it turns out that the corporation is liable for very little and it can survive as an entity if there is a business future; the shareholder however is a likely candidate for a Chapter 13, to keep the house and pay the debts over time. Is it safe to file a corporate bankruptcy?